Omiyage is the Japanese word for "gift". 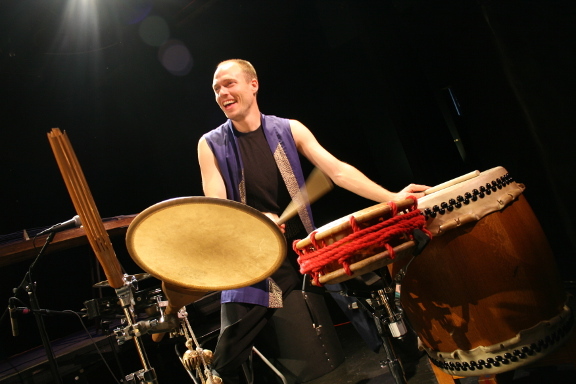 Conceptualized and created by TAIKOPROJECT to give back to the taiko community, Omiyage is a copyleft piece open to any taiko player interested in learning and performing the piece. Learn the shime/okedo parts for Omiyage, one of the great taiko compositions! Students learn the various patterns of the piece, along with multi-drum drills and technique applicable to a wide variety of repertoire. Start learning now to join the recital performance of Omiyage in May!